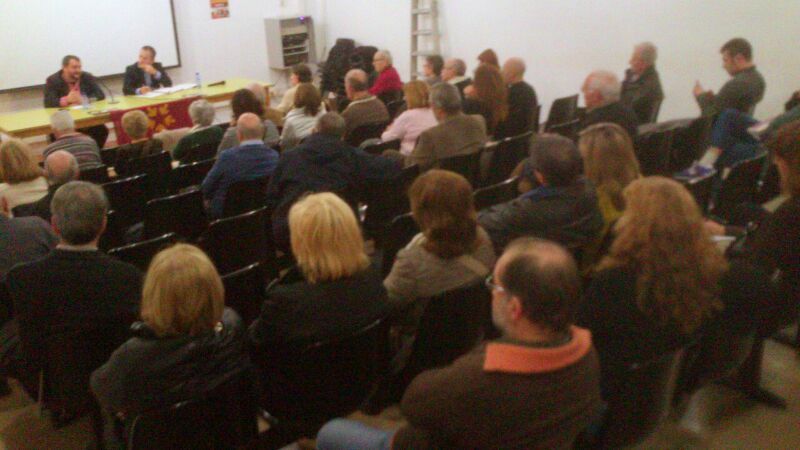 RCAT International Affairs officer, Mr. Josep Sort, in a Conference held at Cotxeres de Sants, analyzed which countries would help Catalonia in the process of Independence. The presence of a big audience shows that the topic of international strategy it is of our interest, since almost every day we receive news from Europe or the rest of the world, with statements from one or other politician speaking about our case. Mr. Sort, opened the conference stating that he is optimistic about the process. He has claimed that the international topic is currently a weak flank to the Spanish Government but a good strategy must be done and we have to bear in mind that the countries associate and bind each other internationally and “our aim is the make them accept us”. It should be also noted, according to Mr. Sort, “the deafening silence of the states” against our process, other things are the personal statements from people such as Mr. Barroso, who is now in a personal process at the end of the stage of his presidency and he is probably seeking a new post or a new job. 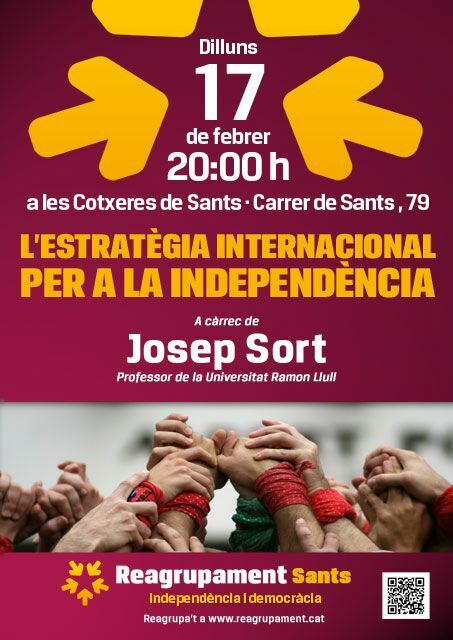 To Mr. Sort’s opinion, “everybody must have it clear that, the Independence of Catalonia depends only upon Catalan people, although the international front plays a role which can enhance the evolution of the process”. According to Mr. Sort, “we have passed a stage”, and “we have now put in the foreground the conflict of the Catalan process and many international media open their issues with our case”. There are many groups who have released the claims of our country, but now, what must be strategically done is “not let it be said that the independence of Catalonia is an internal affair”, since internally, all organizations in Spain go against us: Ombudsman, Constitutional Court and so on. 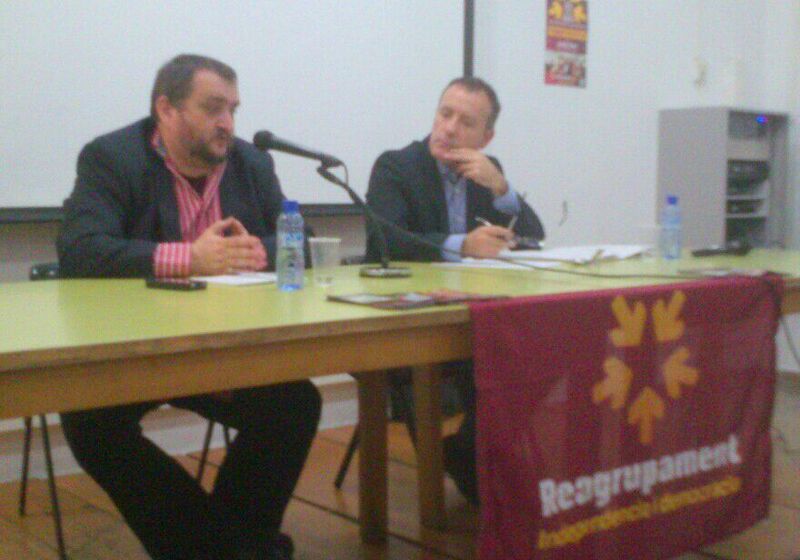 He has also emphasized that it is essential “that EU take action on the matter and then we would be at last in an equal negotiation, and not as we currently are between a State and an Autonomous Community”, since what the Spanish diplomats are only doing up to now is trying to discredit us and compare in an absurdly way an Independent Catalonia to countries that currently have no international significance, them being aware that this is not true at all. Mr Sort is sorry that a chance to offer pro-independence people a joint candidacy for the next European Election has been missed, which would have gotten, according to the polls, more than one million votes and therefore a very good image in Europe. In the second part of his exposure, Mr. Sort has analyzed which States could give us their help. We could say at first glance, states Mr. Sort, that it would be logically those States which would benefit from the division of Spain, such as Poland, since they would have more weight in the European Parliament. Another one could be Italy, since they compete with Spain to be a bigger European power. On the other hand, we think that all small countries in the EU would be also interested such as the Baltic Countries.